BP Architects wins local government Award for Business Excellence for architectural work in environmental sustainable design. A Gala Dinner was held on Thursday 24 October 2013 where BP Architects was announced winner of the Frankston & Mornington Peninsula Excellence in Business Awards 2013 for Building Services. BP Architects were also finalists in the Award category of Environmental Sustainability. The Minister for Small Business the Hon. Bruce Billson MP was present at the Awards ceremony, with the Frankston Mayor Cr. Sandra Mayer & Mornington Peninsula Shire Mayor Cr. Lynn Bowden with over 200 guests attending. “Bridget Puszka’s architectural designs are innovative, contemporary and environmentally sustainable. Her 20 years of experience is supported by an extensive list of qualifications which supports projects internationally as well as locally. She is to be commended on her success in developing a successful niche business in a field that can be highly competitive”. BP Architects started in Langwarrin in 2000 & is owned by Bridget Puszka. It opened a St Kilda office in 2005 has enjoyed 13 years as an independent business. BP Architects is known for its innovative, contemporary and environmentally sustainable architectural designs and has won numerous awards for the energy building efficiency of the building designs & for sustainable business practices. The business maintains its commitment to environmentally friendly business practices & building services designing zero energy & energy positive buildings. For more information, please visit http://bparchitects.com.au. The comfort & building performance of the Frankston South home worked well and when the Awards Juror entered the home the first thing he said was ‘Wow’. He could feel the fresh cooling breezes being drawn through the house from the rear garden cooling the house on a hot summer day. The Owners of the house were resourceful in sourcing materials which were later designed into the retrofit of their home. These materials were mostly second hand, salvaged & the reuse of existing materials from the demolition of the house such as the kitchen which was refurbished & a new (second-hand) marble bench tops added. Neighbours who visited the home said that they ‘must have spent millions’ on renovating their home when the home was economically built within budget. BP Architects were commissioned to design the retrofit of this home as Bridget works in collaboration with her Clients in designing their energy efficient sustainable homes. 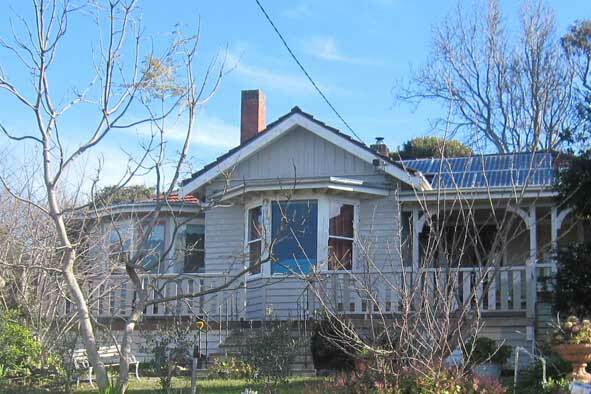 The Frankston South Home is a Sustainable Heritage project. To get your copy of ‘5 mistakes to avoid when making your heritage home more Sustainable’ email BP Architects at info@bparchitects.com.au with ‘Sustainable Heritage’ in the subject line.